UPDATED: Sun., July 23, 2017, 7:38 p.m.
MINNEAPOLIS – John Kundla, the Hall of Fame coach who led the Minneapolis Lakers to five NBA championships, died Sunday. He was 101. Son Jim Kundla said his father died at an assisted living facility in Northeast Minneapolis that he has called home for years. 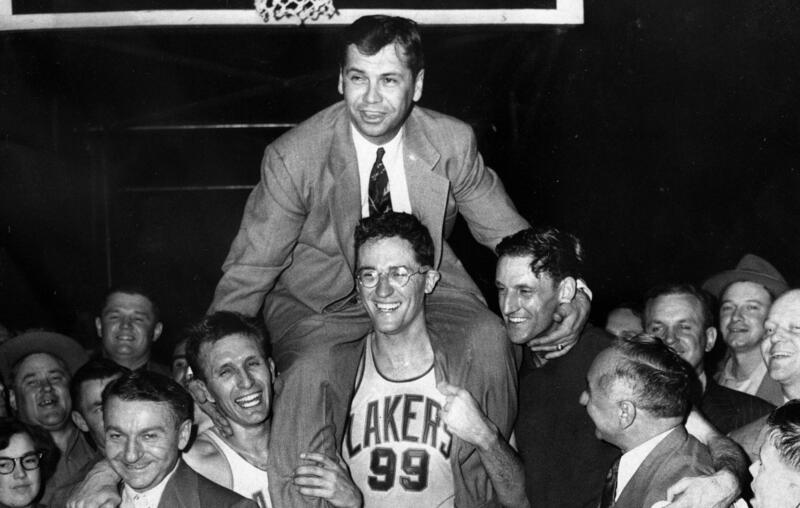 Kundla coached George Mikan and the Lakers in the 1940s and 1950s, helping them become the NBA’s first dynasty. He went 423-302 before retiring at the age of 42 and went on to coach his alma mater, the University of Minnesota. Kundla was the oldest living Hall of Famer in any of the four major pro sports. Kundla was inducted into the Hall of Fame in 1995. A year later, he was named one of the league’s 10 greatest coaches as part of the league’s “NBA at 50” celebration. Published: July 23, 2017, 5:43 p.m. Updated: July 23, 2017, 7:38 p.m.